Travel companies globally, are gearing up for innovative and cost effective solutions for exploring the technological approach to market their products. Travel portal development has become a buzz word, which all the travel agencies are very much aware. Global travel agencies are going online by following OTA approach. Few companies are getting the travel portal done internally with in-house team and rest all are actually getting it done through professional travel portal development companies. Demand of B2B and B2C travel portal website in surging in India, UAE, Africa, United States and Far East countries. 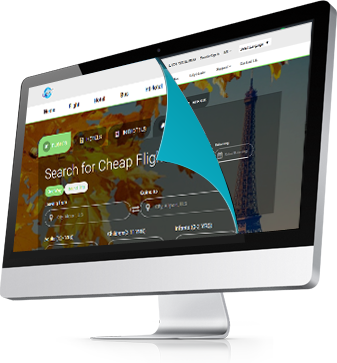 Travel portal development project will search from the CRS (own inventory) and the API and will find out the best possible option available in a particular city as per the search by the user. On selecting one result it will be redirected to the payment gateway. Travel portal website will search the Bus and will find out the best possible option available in a particular city as per the search by the user. On selecting one result it will be redirected to the payment gateway. SMS API will be incorporated to send the sms to the client at the time of confirmation of booking or PNR creation. For a comprehensive travel portal development project, multilayer admin console is defined. Login facility will be given to the agents to add funds in their accounts with a certain cutoff limit. By logging in on the portal agents can book the Air tickets and Hotel deals from their deposit accounts up to the cutoff limit and as they will reach their cutoff limit, they will not be able to book tickets and rooms from their deposit account. Then they will have the option to book from Credit Card. Agents will get the different options i.e.